French brand EKOÏ has introduced its first shoes for training during the winter period. Available in road and mountain bike models, EKOÏ’s Carbon Winter shoes offer protection to the feet during cold, rain, wind and harsh winter conditions. 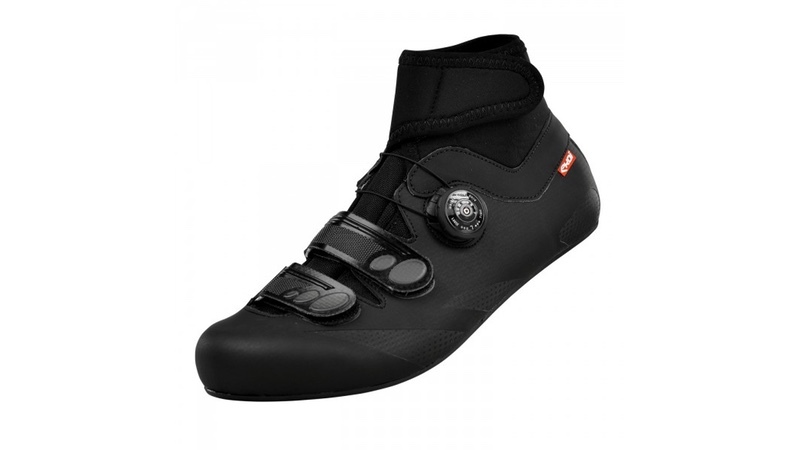 Aesthetically, the Carbon Winter shoes for both riding disciplines offer up a technical upper and a warm fabric band, with a Velcro closure that wraps around the ankle. The sole is in SHD carbon, to maintain a level of stiffness when riding. The shoes also feature a SION TEX inner membrane. This is waterproof to rain and snow, ‘but at the same time is breathable, for moisture evacuation’. The shoe closure system allows adjustment on the foot even while riding.